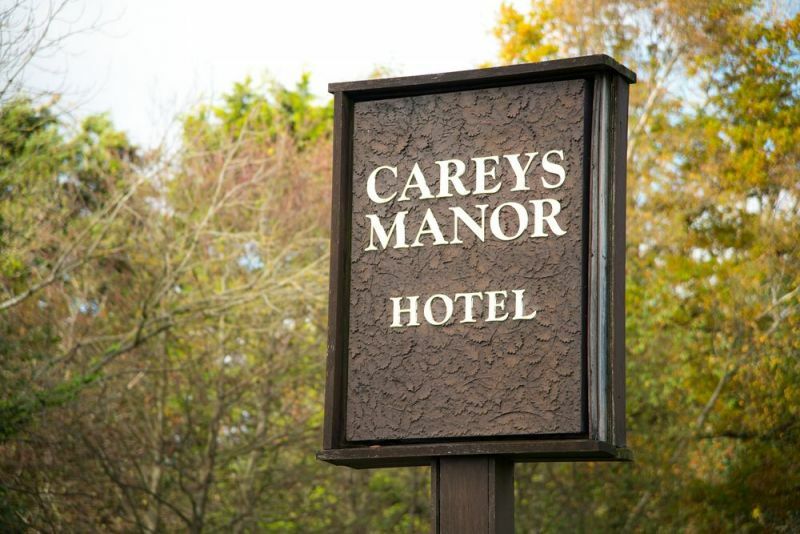 Careys Manor Hotel is in the New Forest village of Brockenhurst. 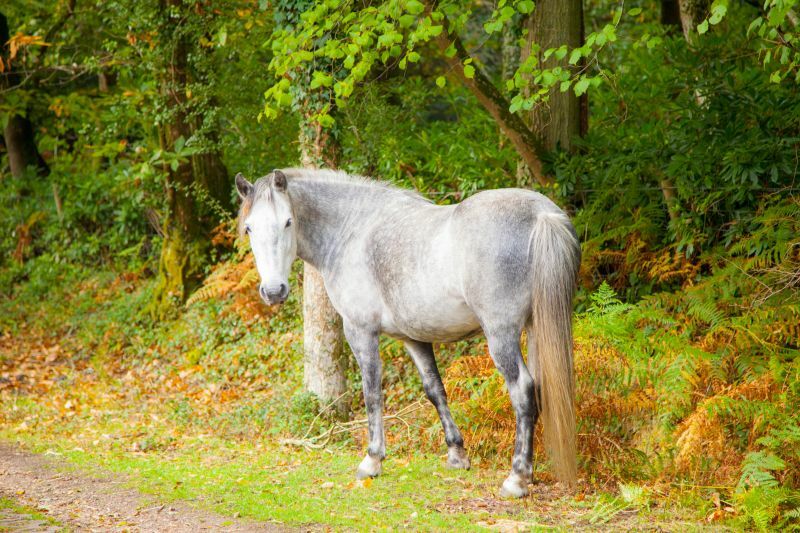 For those of our readers unfamiliar with the New Forest, it is two-hundred and nineteen square miles of pasture, heathland, and forest in the Southwest of England. William the Conqueror claimed the area for hunting in 1079 at which point it became known as “The New Forest”. Brockenhurst is the most populous village in the New Forest, with about 3,500 residents at the last census. Oddly for such a small village, it has a railway station, which sits on the line from Waterloo to Weymouth. It was by train that I arrived for a night’s stay at Careys Manor Hotel in mid-January. 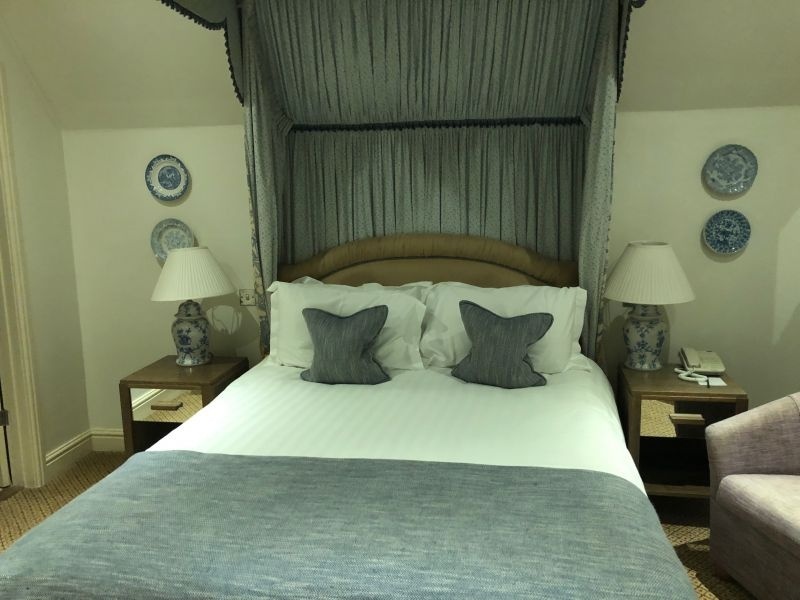 The hotel takes its name from John Carey who was given the original manor on this spot by King Charles II in the late seventeenth century. The current manor house which forms the core of the hotel was constructed in 1888. Extensions to that core were made between 1984 and 1987. A significant refurbishment occurred in 2009. I was fortunate to have a bedroom in the original manor house building. The room was decorated in blue, grey, and white with the furnishings reflecting the nineteenth-century building. A desk provided space to work, with tea, coffee, and hot chocolate making equipment. The instant coffee portions were small for the mugs provided; even a pair of sachets made a weak drink. The chairs by the window were comfortable. I arrived at the hotel after two jet-lagged nights in England and a sleepless transatlantic flight. The bed was a delight and I had a long night’s sleep. In common with most hotels, there is a lack of power sockets near the bed, which complicates charging phones. 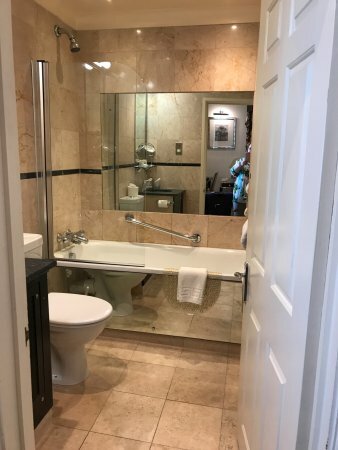 The bathroom focused on practicality and not period detail. It was modern with a shower in the bath-tub. The shower had excellent pressure. The towels were thick and fluffy. Overall, the accommodation was excellent. Most of the bedrooms are in the extension; I did not have an opportunity to evaluate these rooms. One of the drawbacks of staying in a hotel for a business conference is that you do not get to try the restaurant’s full menu; as the need to serve a large group of people means that you have a small selection from a buffet. Therefore, it would not usually be fair to write about the food we ate. 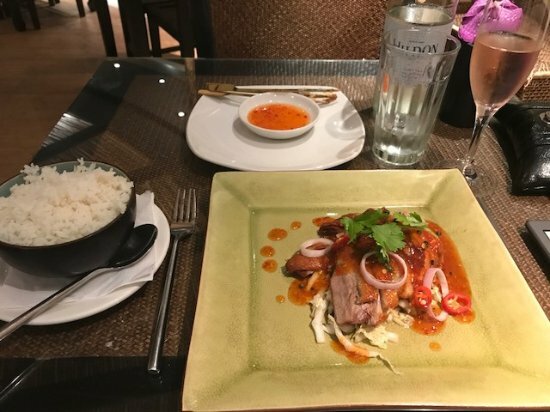 However, the dinner was Thai inflected and was so tasty that I would recommend dining at the Zen Garden, a Thai restaurant at Carey’s Manor. 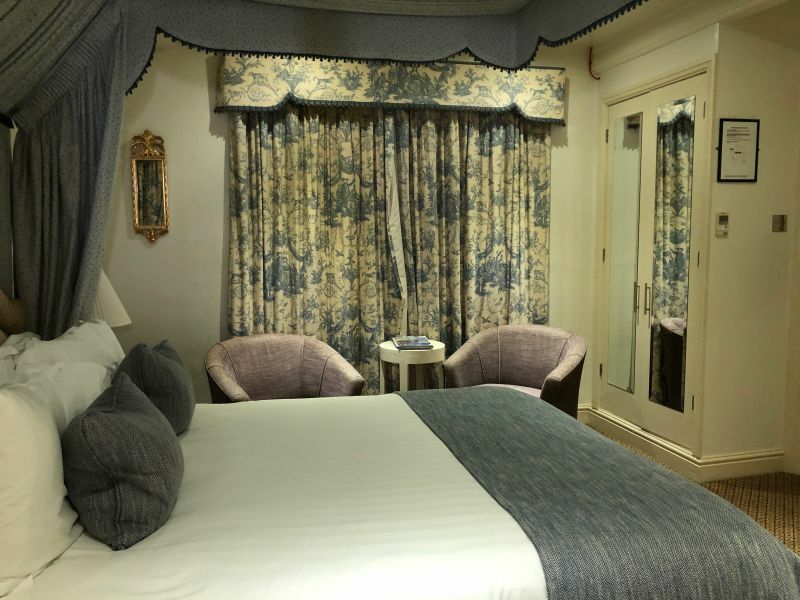 There are two other restaurants at the hotel; Le Blaireau, which is decorated like a French café, and Cambium, whose menu looks mouthwatering and features English wine. 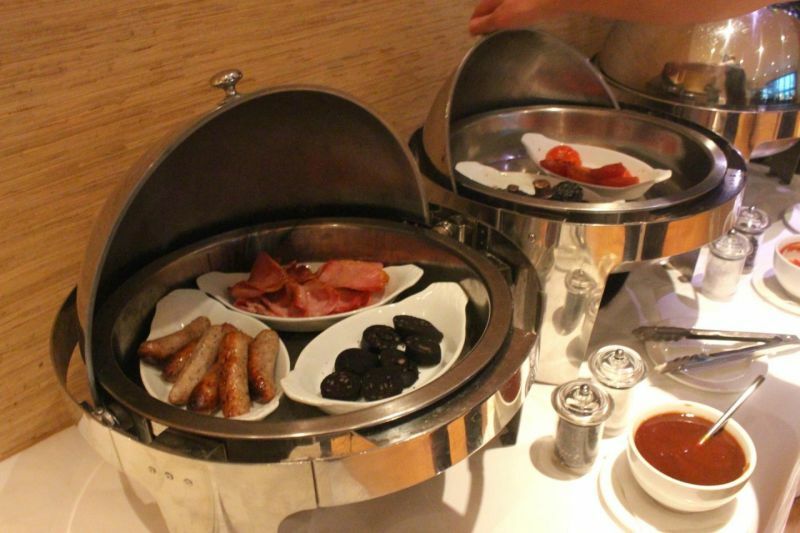 The breakfast buffet was also first-rate, with excellent black pudding, crisp french bread, and tangy orange marmalade. When we arrived mid-morning, not only was coffee provided, but we had bacon rolls; one of my favourite English snacks. There is a spa on site, but I had no opportunity to try that. 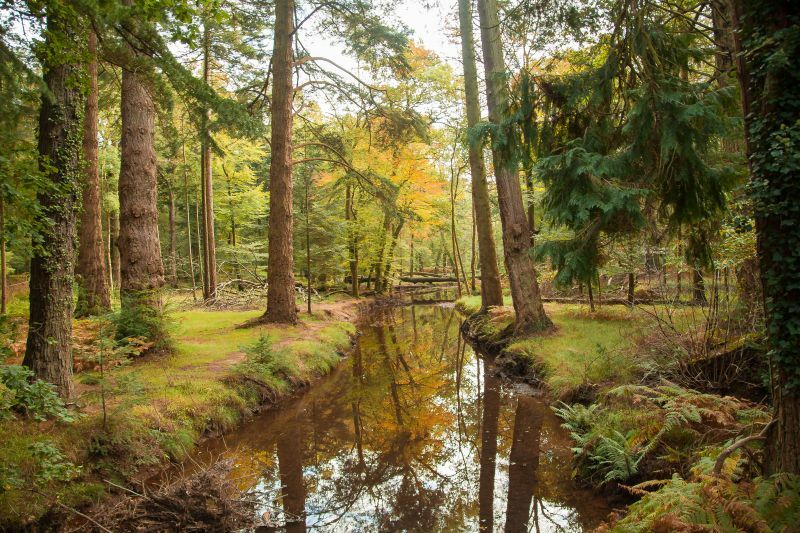 The New Forest is worth visiting and Carey’s Manor Hotel is an ideal place as a base to explore this area of natural beauty. You may need to plan to walk a few extra miles, given the tempting and excellent food. This looks absolutely idyllic! Had never heard of this area but it looks charming and just perfect for an AdVINEture! Thanks for sharing, definitely going to keep this in mind on our next trip to the UK.